The matches will be ran as WIRRAL SEA FISHING matches and the events are sponsored by MORETON ANGLING CENTRE, they will NOT be run in conjunction with any other club, as in the past other clubs are welcome to use our fixtures as their own as long as they make adjustments to their rules in relation to walk out time etc etc. BLAS will not be changing any match rules. You can fish BLAS matches and WSF matches at the same time, so long as no rules conflict. At the moment, no rule conflicts, there are a few rules we do not have, such as restricting the time to take up your peg, but if you stick to the WSF rules, you will not be breaking any BLAS rule, so you can take part in both. If there was a conflicting rule, you would have to fish to the lowest rule, ie. if BLAS had a one hook only rule and WSF had a 2 hook only rule, you would have to fishboth matches with 1 hook to comply with the rules of both, or if the fishing times did not match, you would have to stick to times that allowed you to fish in both. BLAS have scheduled matches to co-incide with WSF matches ( for most occasions -- we have a conflicting match in December, BLAS members will have to choose to fish WSF or BLAS on that date -- I will probably fish the WSF one !! ). BLAS have done this as most BLAS members like to fish the WSF matches, I do. Some members may choose to fish the BLAS match only, then I personally do not see any problem with them just fishing to BLAS rules, as if they choose to fish the WSF match only, then there is nothing stopping them doing that either. That would be the choice of BLAS members who where not taking part in the WSF match. It is not a rule of BLAS. We can ask all BLAS members to respect the WSF rules as most of the BLAS members will be fishing the WSF match as well. But we cannot force them to, that will be their choice, I am sorry, me and Dave and most of the BLAS members want to fish the WSF matches, but, there will be members of BLAS who do not. I not only have to apologise to the participants of WSF matches if they do not want to wait until the rest of BLAS can go onto the beach, I also have to apologise to the members of BLAS not wanting to fish WSF matches, but having to fish the same venue, sorry we are being selfish, but the majority of the Sea Section of BLAS enjoy taking part in the WSF matches and at the time we put the sea matches up, we where trying to help WSF out by hosting the WSF matches. Maybe it would be best to cancel all the BLAS matches that are on the same date and venue as the WSF matches or move them to other venues, but I feel this would not be welcomed by the BLAS members who like to fish the WSF matches and are active members of this forum. OK -- I formally as a member of the Executive Committee of BLAS ask all members of BLAS fishing a venue where we are fishing a WSF match at the same time to respect the wishes of the WSF match organisers and the other members of BLAS who wish to fish the WSF match as well as helping BLAS-WSF relations to wait until all members can go to their fishing positions before taking their fishing position. 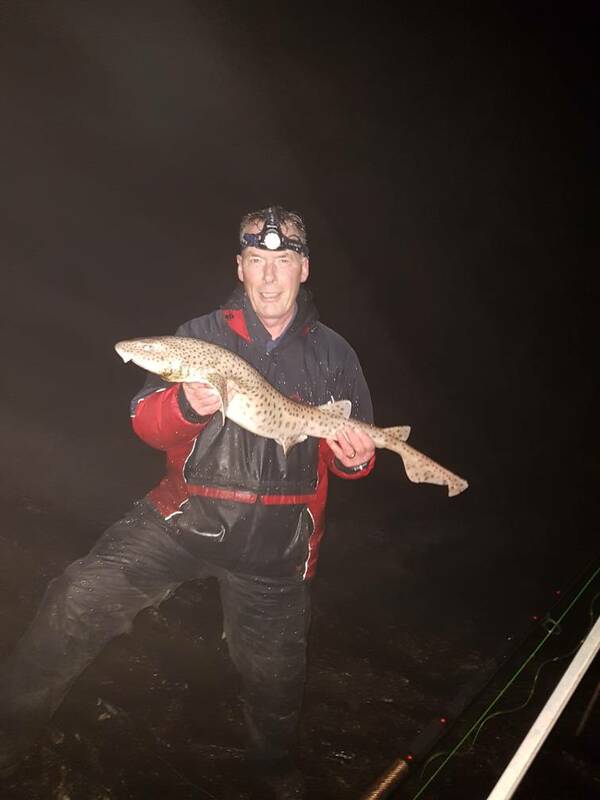 This is my own personal plea, not a decision of BLAS or the rest of the Executive Committee, you will not be disadvantaged in the BLAS match should you choose to stick to BLAS rules and go to your fishing position whenever you want to. I will pass this 'personal' request onto BLAS members who are not active on the forum and who may turn up at the joint venues. Which one you stand to lose most on with the betting and odds you have given them. I've just read in the Sea Angler mag that the nwas league match is on the same date as our Caldy match. I thought Heather had moved it to the Monday?